Just read this lengthy discussion of the dynamics of the ‘war’ between WordPress and Movable Type for the hearts and minds of bloggers – written by a former Movable Type product manager (and current partner) but in a very evenhanded fashion. …over the past few years, the message is quite clear.To be successful, you’ve got to build a community – and to sustain and grow that community you’ve got to create an economic environment where self-sustaining businesses can grow and thrive. Microsoft ($MSFT) once ‘got it’ (in a past life – not now) – and I believe there are other companies that ‘get it’ today including WordPress, Google ($GOOG) and Salesforce.com ($CRM). I’m not as convinced that Apple ($AAPL) does, despite their obvious and huge early lead. There are many, many initiatives being discussed and implemented within the walls of practically every sizable technology provider these days as to how to get to platform nirvana. Those efforts are laudable, and those that succeed will benefit tremendously – but getting there is much easier said than done. In other words, there will be a small number of very successful ‘App Stores’ in the not-too-distant future – and a very large number of failed efforts. The successful ones will be the true ‘platform’ providers, and those that fail won’t necessarily fail as businesses if their product offerings are solid, but they will not achieve that next level of success and sustainability that has caused companies such as WordPress and Salesforce.com to have put so much distance between themselves and their competition. Why did WordPress win the Blogging Battle? All of the factors above contributed in the long run to what ended up being WordPress’ single most important asset: its community. But its community was not born simply out of having a lot of users. Its community and ultimately WordPress’ success was born out a steady stream of people who began to rely upon WordPress as their primary, if not exclusive source of income. A healthy economy around WordPress consulting and professional services ultimately gave rise to “Premium Themes.” And once people began to demonstrate that there was a viable business model in selling themes, the theme market exploded. Now it is almost impossible to rival the selection of themes available on the platform, not to mention how cheap it is for the average person to get started with a cheap, good looking web site. As more and more people though began making money using and building for the platform, as more and more people began thinking about, living in, and becoming invested in the platform, there became an ever increasing incentive for them to contribute back to the platform. Now, the great irony is that even for all of WordPress’ open sourcey, socialist, hippy goodness, it is the competition driven by the capitalist free market that drives much of WordPress’ innovation today. Nice post. God some useful info. 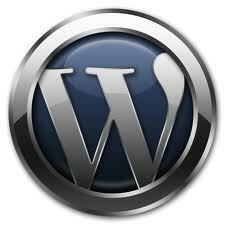 WordPress rocks always!